Late-night comedian Jimmy Kimmel invited on a cadre of cute little fifth-graders to troll President Trump with a performance of "The First Trumpsgiving," a play in which the former real estate mogul shows up to Plymouth Rock and offends everyone. 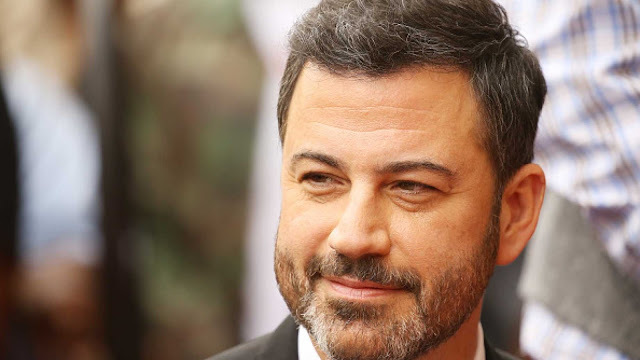 "Over the last 400 or so years, the story of Thanksgiving hasn’t changed much," Kimmel said in the introduction. "We learn it in school and it’s fine, but this year we wanted to spice it up." Kimmel then welcomed the players onto the stage, allegedly from Mar-a-Lago Country Day School in Palm Beach, Florida. A narrator establishing the setting revealed that the first pilgrims (the Trump family) arrived on a "private yacht" named "The Mayflower." Prompting uproarious laughs from the audience, a little boy dressed in a pilgrim's outfit with a red tie and blonde Trump-wig walked out onto the stage alongside a little girl playing Melania Trump. Immediately, this boy-Trump decided to build a real estate empire. "We’re gonna put the golf course right here, and the hotel right here," said the boy-Trump. "It's going to be yuge!" Clearly miffed by her husband's arrogant portent, the girl-Melania simply placated the boy-Trump by uttering a "whatever you say, Donald." Thereafter, the Native Americans showed up to greet the Trump pilgrims. Immediately, the boy-Trump was afraid. "Oh no, it’s the caravan of immigrants from South America!" said the boy-Trump. "Watch out. They're bad hombres." Confused, the Native Americans corrected him. "Immigrants, we're not immigrants. We're Native Americans," one of the natives replied. The boy-Trump fired back with an American identity of his own. "Well, we’re American Americans and we were here first," he exclaimed. When a native objected to the boy-Trump's claim of "American American" by pointing out that he and Melania just landed on Plymouth Rock, the boy-Trump corrected him by renaming the place "Trump Rock and Casino." Later, the Trump family and native family gathered together for a feast that did not go exactly as planned; the Trump family arrived late and they brought with them only a "wall of cornbread." When the natives asked for a turkey, the boy-Trump ordered his two sons (Eric and Donald jr.) to hunt one; instead, they brought back a dead elephant. "The greatest Thanksgiving in the history of Thanksgiving is ruined because of you two idiots," the boy-Trump told his incompetent sons. But just then, when all seemed lost, when the situation was at its darkest hour, a Thanksgiving miracle arrived: none other than a bucket of Kentucky Fried Chicken. "Hey everyone, I'm a bucket of KFC extra crispy chicken," said the boy dressed up in a KFC bucket costume. "I'm finger-licking good, especially if you have teeny-tiny fingers." Of course, the boy-Trump was overjoyed, exclaiming, "This is the greatest day of my entire life." At the play's conclusion, the children joined hands to sing "We Wish a Great Trumpsgiving." Collectively, they all sang: "We wish you a great Trumpsgiving, we wish you a bigly Trumpsgiving, we wish you a winning Trumpsgiving, except for all the haters and the losers."